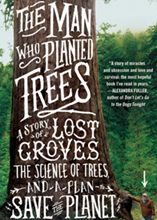 Here are some helpful books and videos that share in the spirit of GreenFriends, plus resources related to plastic source reduction and the Tree Planting Campaign. If you have a favorite resouce you would like to share with the GreenFriends community, send it to info@greenfriendsna.org. Can Squid Solve Plastic Pollution in Our Oceans? 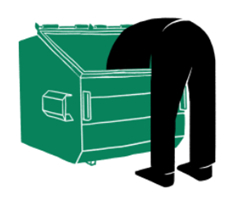 Gizmodo - Nationwide, municipalities are facing higher costs and being forced to find stopgap solutions, from incinerators to landfills, for recyclables that have nowhere else to go. 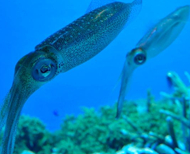 CNN - Proteins found in squid can be used to create sustainable alternatives to plastics, according to a report published in Frontiers in Chemistry. New York Times - Life Without Plastic Is Possible. It’s Just Very Hard. 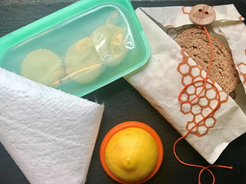 Going plastic free starts with cloth bags and straws. Suddenly, you’re making your own toothpaste? Americans toss 185 pounds of plastic per person each year while also going through 13 billion pounds of paper towels as a nation. Here are some suggestions for reducing that waste. 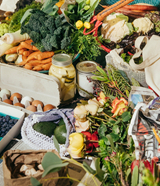 CNN - Procter & Gamble, Unilever, Nestlé, PepsiCo, Danone, Mars Petcare, Mondelēz International and others are partnering on a potential solution known as Loop to limit future waste. 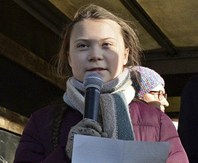 Washington Post editorial - Christiana Figueres and Greta Thunberg take on the World Economic Forum. Dr. Vandana Shiva's keynote address at the Northeast Organic Farming Association Winter Conference in 2017 is an inspiring message of hope describing how agriculture can be a powerful cure for climate change and societal fracturing. Trader Joe’s has kicked those notoriously hard-to-open, and horrible for the environment, plastic produce bags to the curb and replaced them with eco-friendly compostable ones. 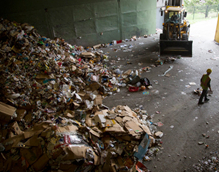 ABC News - Americans love convenient recycling, but on average, about 25 percent of the stuff we try to recycle is too contaminated to go anywhere but the landfill. 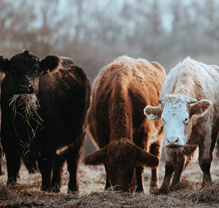 A major study finds huge changes to farming are needed to avoid destroying Earth’s ability to feed its population. 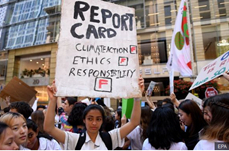 CNN - Hundreds of thousands of students walked out of their classrooms in over 100 countries to protest climate inaction. 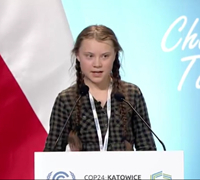 Herald Sun - An inspired appleal from Ms. Greta Thunberg, 15, of Sweden at the UN climate change conference in Poland. 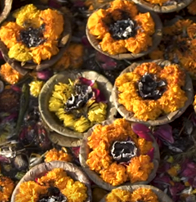 Every year 8 million tons of waste flowers are dumped into India's sacred rivers. 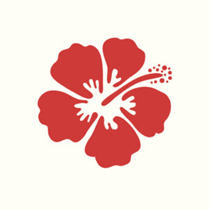 Enter HelpUsGreen, an organization that has begun addressing an environmental threat while giving the flowers a new life. 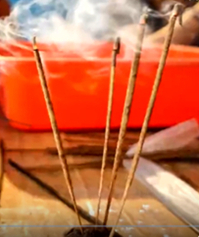 Another version of the story about the efforts of Ankit Agarwal and Karan Rastogi to convert toxic temple flowers into incense and help clean up India's sacred rivers. 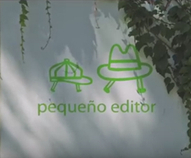 Mi Papá Estuvo en la Selva, or "My Dad Was in the Jungle"
A video about a children's book that can be planted and it will grow into a tree! 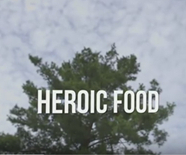 This video highlights the first organization dedicated to training military veterans in the craft of sustainable agriculture. Allan Savory talks about desertification. It's happening to about two-thirds of the world’s grasslands. A surprising factor can protect grasslands and even reclaim degraded land that was once desert. Cary Fowler takes us inside a vast global seed bank buried within a frozen mountain in Norway, that stores a diverse group of food-crop for whatever tomorrow may bring. 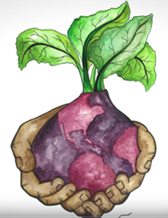 Pam Warhurst tells how she and a growing team of volunteers came together to turn plots of unused land into communal vegetable gardens, and to change the narrative of food in their community. The Guardian - As a record-breaking sailor, Dame Ellen MacArthur has seen more of the world’s oceans than almost anyone else. Now she is warning that there will be more waste plastic in the sea than fish by 2050, unless the industry cleans up its act. Forbes Magazine estimates that a plastic bag has a 12-minute lifespan from when it's initially filled with groceries at the grocery store to when it is discarded. Here is a list of 349 known cities, counties, and states to have, in some way, banned or taxed plastic bag use. Each year Americans throw away 100 billion plastic bags. 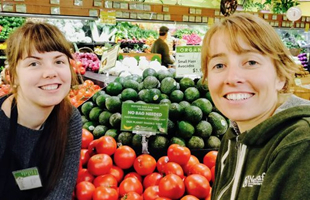 Eva Pollard and Rebecca Miller use signs in the produce dept. 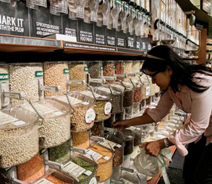 to encouage shoppers to go plastic-free. 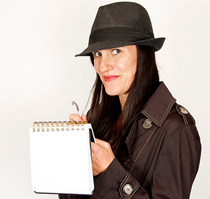 Anita Horan goes undercover to a recycling plant in Australia. Is recycling an effective method to deal with the enormous amount of waste that we constantly generate? A comprehensive article on the Great Pacific Garbage Patch - how it was created, the impact of it, how to reduce marine pollution and a variety of other helpful resources. National Geographic - Small changes to your family’s routine can empower your children to make a real difference in the fight against plastic. What Kinds of Plastic Bags Can be Recycled? 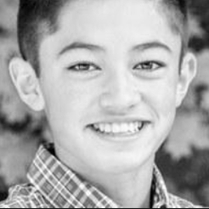 Read how a team of school kids won the Google Science Fair for developing a process to convert Styrofoam waste into activated carbon for purifying water. Are all plastics bags recyclable? Are their differences between plactic bags? How are you supposed to know? 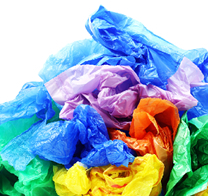 This great resource explains both where and how to recycle plastic bags. 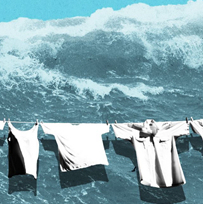 More than ever, our clothes are made of plastic. 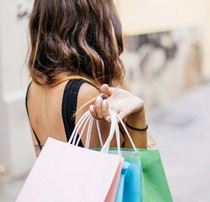 Synthetic plastic fibers such as polyester, nylon, acrylic, and other synthetic fibers are now about 60 percent of the material that makes up our clothes worldwide. 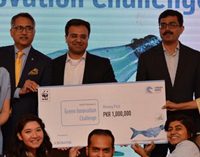 WWF - Pakistan initiated a national competition in collaboration with UN Environment Program’s Clean Seas campaign,as a three-staged start-up competition aimed at supporting technology oriented solutions that provide innovative solutions for mitigation of plastic pollution. NBC news reports on one of the most little known, but greatest environmental catastrophes in the world today. In this animated video, Emma Bryce traces the life cycles of three different plastic bottles, shedding light on the dangers these disposables present to our world. A heartwrenching (and at times disturbing) video from the United Nations on the amount of plastic in the ocean. A PBS video on what can you do to make the oceans plastic-free. 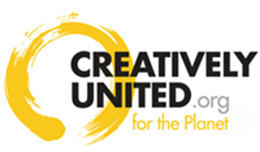 A CBC documentary on international efforts to prohibit plastic bags. From The Story of Stuff Project, an illustrative animated video on bottled water and how to avaoid buying it. A Special Edition series for GSU TV exploring the perils of plastic pollution and the great plastic garbage patch in the middle of the Pacific Ocean. Takeout food generates an enormous amount of single-use wate, but it doesn't have to. The Plastic Pollution Coalition is a growing global alliance of individuals, organizations, businesses, and policymakers working toward a world free of plastic pollution. 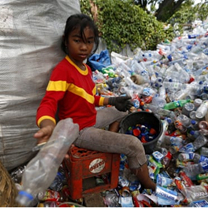 The Huffington Post describes how we are being overwhelmed by our waste. The Marine Debris Tracker takes a few seconds to easily report where you find marine debris or litter anywhere in the world and then prevent it from impacting our oceans. 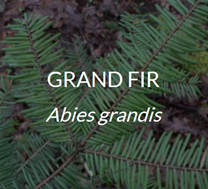 Conservationists are in a race to save the "gopher wood" tree, dubbed the most endnagered conifer in America. Local legend in the Florida panhandle has it that the tree was used to build the ark that Noah rode out 40 days of floods on. 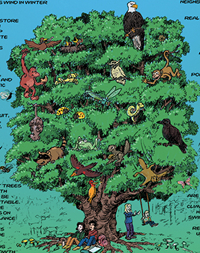 How Many Trees Would it Take to Cancel Out Climate Change? 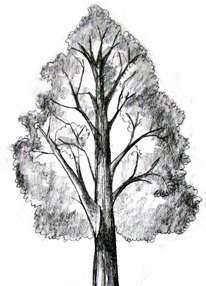 Trees are the Earth's way of soaking up our carbon. If you wanted to plant enough new trees to absorb all the carbon people emit, guess how many you'd have to plant. "Trees are sanctuaries. Whoever knows how to speak to them, whoever knows how to listen to them, can learn the truth. They do not preach learning and precepts, they preach, undeterred by particulars, the ancient law of life." 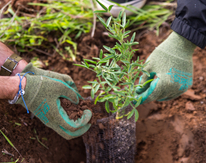 Planting trees at the right time makes them more likely to thrive. Here’s when to plant so you get the most value from your landscaping investment. 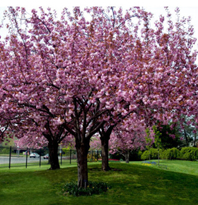 Based in Victoria, BC this wonderful webiste is dedicated to "Bringing together people & organizations who care about the quality of life in our region"
A PDF on instructions for watering trees, espcially in cities or in drier areas. Arbor Days tree experts have created this Tree Wizard to help US residents decide which is the best type of tree to plant. 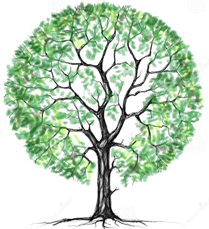 Trees can provide you with so many wonderful benefits -- cooling shade, beauty, fresh fruit and many more. 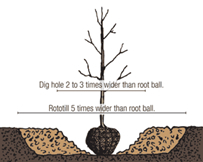 This short video from the TreePeople shows the correct way to plant a tree. 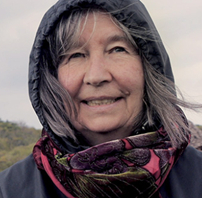 Follow visionary scientist, conservationist and author, Diana Beresford-Kroeger, in this film on her journey to the most beautiful forests of the northern hemisphere. 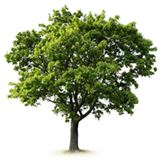 A downloadable PDF that includes a series of suggestions on how to plant trees if you don’t own land. 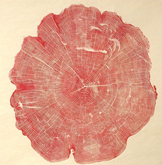 A series of instructive tree-related videos from Diana Beresford-Kroeger, a world recognized author, medical biochemist and botanist. 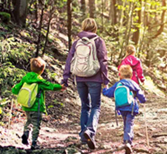 Topics include collecting seeds from conifers and deciduous trees, planting oaks from acorns, choosing trees to plant plus tree suggestions for Canadians, by region based on postal code. 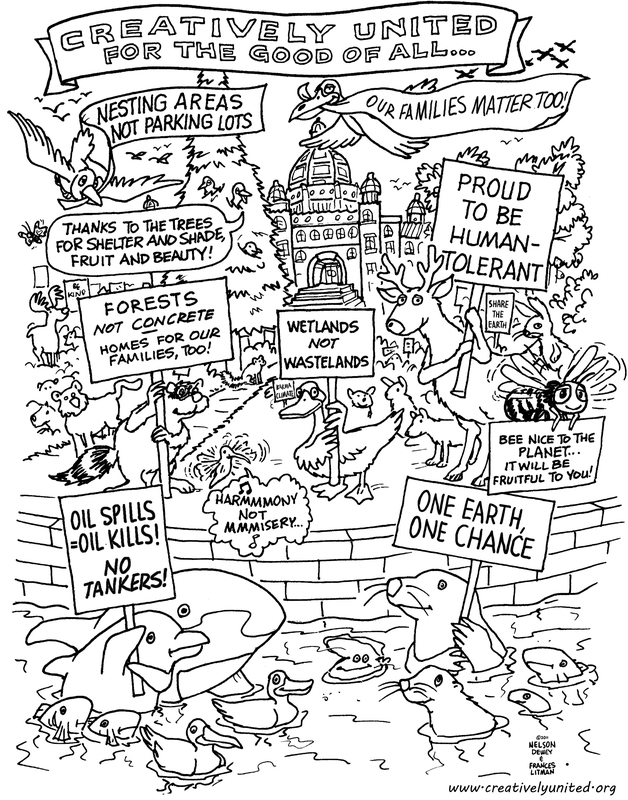 Download this shareable cartoon colouring sheet created by British Columbia cartoonist Nelson Dewey. 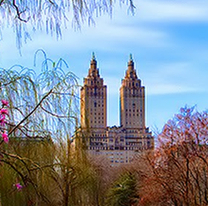 Discover the health benefits and planet benefits of trees local to where you live. Here's a look at how the parts of a tree work together to help a tree get the food, water, and minerals it needs to survive. 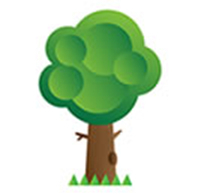 Includes instructions for a group of children to learn and act out the parts of a tree. 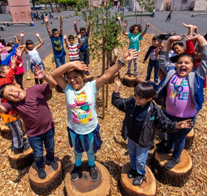 TreePeople.org has been working with Vena Avenue Elementary in the Northeast San Fernando Valley in California to help bring new green learning spaces to their campus. 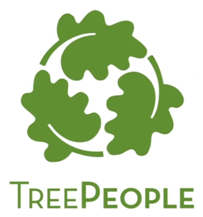 TreePeople offers hands-on environmental, professional development trainings and technical workshops that are designed for elementary, middle school and high school teachers. From cleaning the air, to saving water, to cooling the streets in cities, learn the top twenty-two reasons why we need to plant and care for trees.